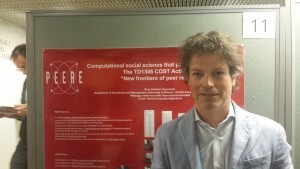 PEERE showcased at ICCSS 2015 in Helsinki, Finland, on 10 June 2015 by Flaminio Squazzoni (pic on the left). 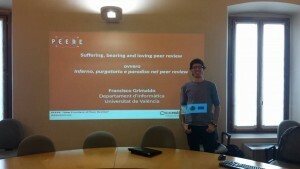 PEERE showcased on Wiley Exchanges on 16 June 2015. 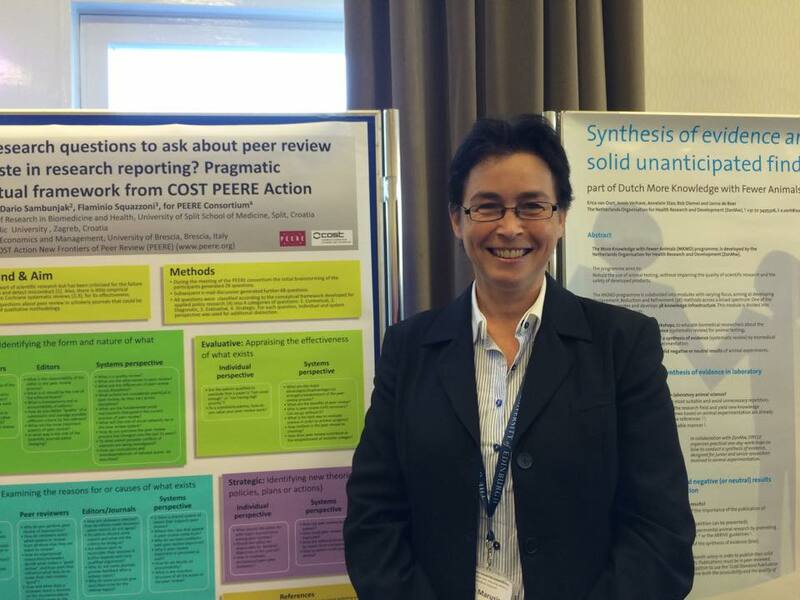 PEERE showcased at Research Waste/EQUATOR conference 2015 in Edingburgh, UK on 28-20 September 2015 by Ana Marusic (pic on the left). 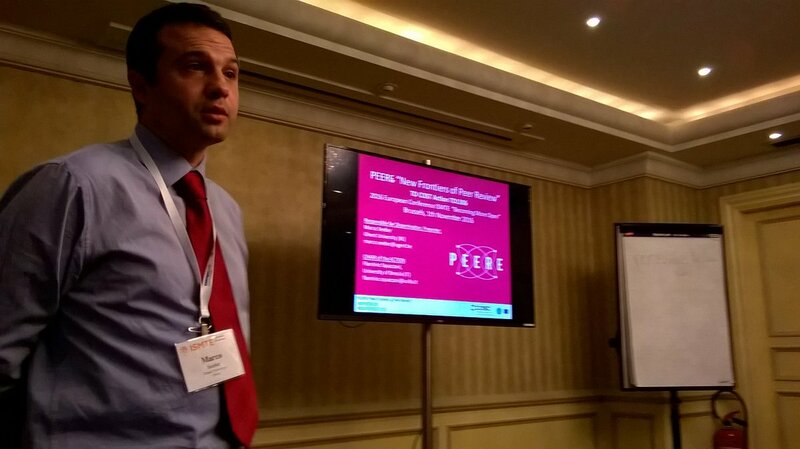 PEERE showcased at WAME International Conference for Medical Journal Editors in New Delhi, India on 1-4 October 2015 by Ana Marusic. 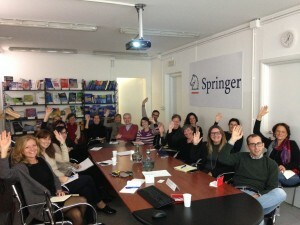 PEERE showcased at a Springer Nature Seminar in Milan, Italy, on 5 November 2015 by Aliaksandr Birukou (pic on the left). PEERE showcased at 21st International Congress on Modelling and Simulation (MODSIM2015) in Queensland, Australia on 29 November-4 December 2015 by Virginia Dignum. Radio report on the European Academy 2016 conference on “Innovating the Gutenberg Galaxis. 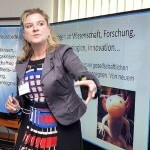 The role of open access and peer review in university knowledge evaluation and dissemination”, jointly organised by PEERE and KNOWeSCAPE, Mainz, 26-27 January 2016. 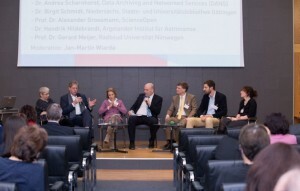 Here is also a report published by KNOWeSCAPE in which there is a summary of the main findings of the meeting (pic of a conference panel on the left). 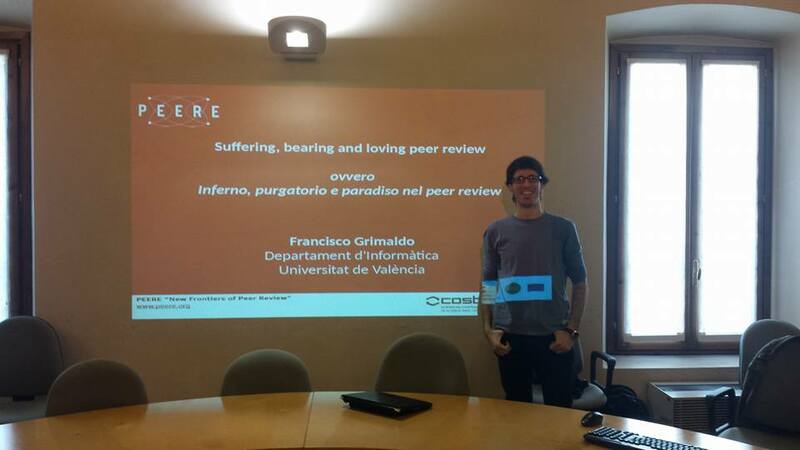 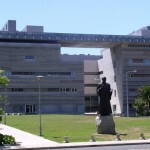 Francisco Grimaldo showcased PEERE at a GECS University of Brescia Seminar on “Suffering, bearing and loving peer review” on 12 February 2016 in Brescia, Italy (pic on the left). 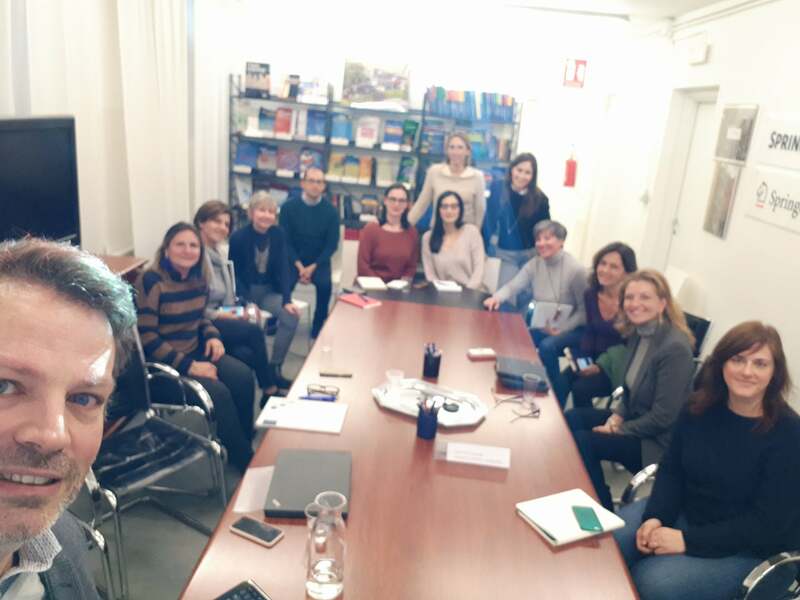 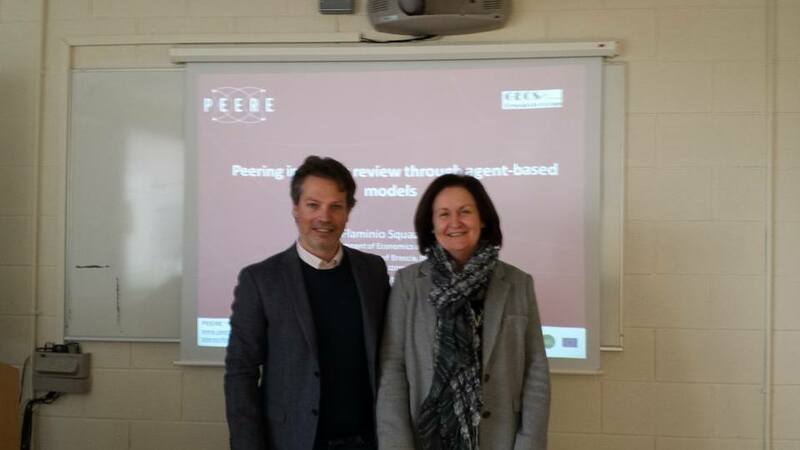 Flaminio Squazzoni showcased PEERE at a UCD Department of Sociology Seminar on “Peering into peer review through agent-based models” on 21 March 2016 in Dublin, Ireland (pic of the left). 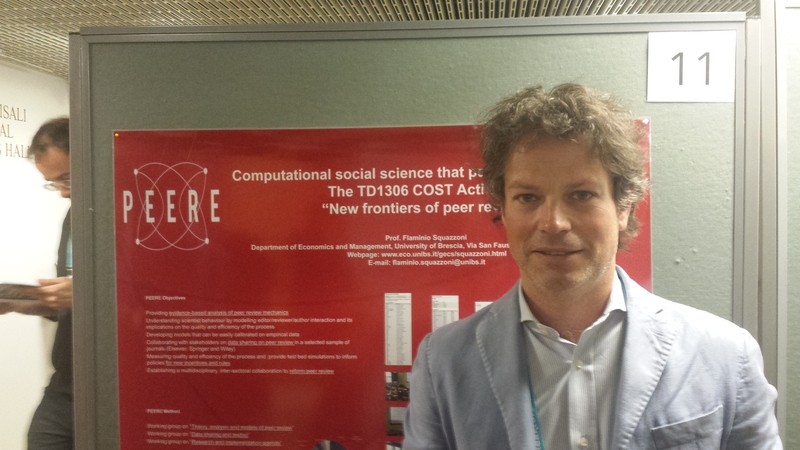 Federico Bianchi & Flaminio Squazzoni showcased PEERE at the International Network of Analytical Sociology Conference, Utrecht University, on 2-3 June 2016 (pic on the left). 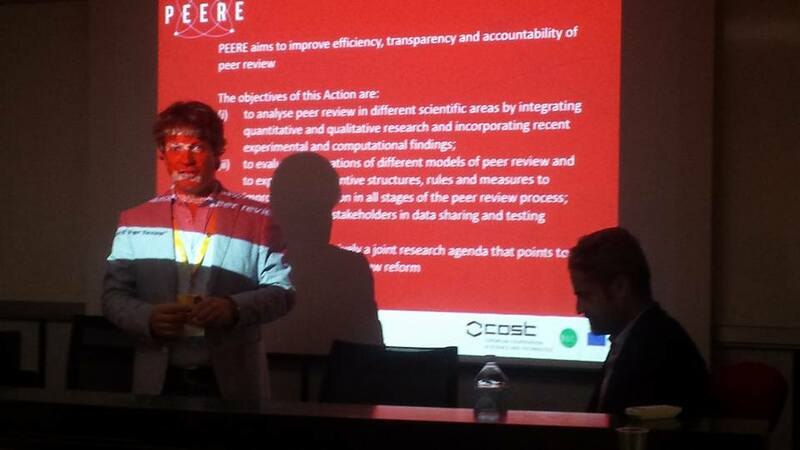 PEERE organised a session on “Social Simulation Peer Review” at Social Simulation Conference 2016 in Rome, on 19-23 September 2016. PEERE showcased at the ISMTE 2016 conference held in Brussels on 31 October-1 November 2016 by Marco Seeber (see the pic on the left).